As we all know, Hong Kong was a British colony for more than 100 years. Before it was transferred back to China, its strategic role as the portal between the western and eastern economy and ideology was valued by both China and Britain. Therefore, geopolitics is the top concern in every decision made in such a small territory. Hong Kong has a humid subtropical climate. Summer is hot and humid with most rainfalls. On one hand, the hard granite bedrock found in most areas in the territory could hardly sustain groundwater. On the other hand, lacking of natural rivers and lakes leads to unstable supply of fresh water. After World War II, lots of refugees rushed into Hong Kong and water supply became an issue. 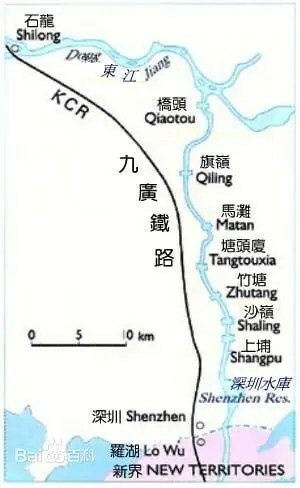 At that time, Guangdong Province offered to export water from Dongjiang River to Hong Kong under the Dongshen Scheme in 1960s, which greatly alleviated Hong Kong’s water crisis. But to strengthen Hong Kong’s colonial independence, British Government started to build 3 reservoirs near the sea to store fresh water during the rainy season. Shek Pik Reservoir, the 1st reservoir, was completed at Lantau Island in 1963. 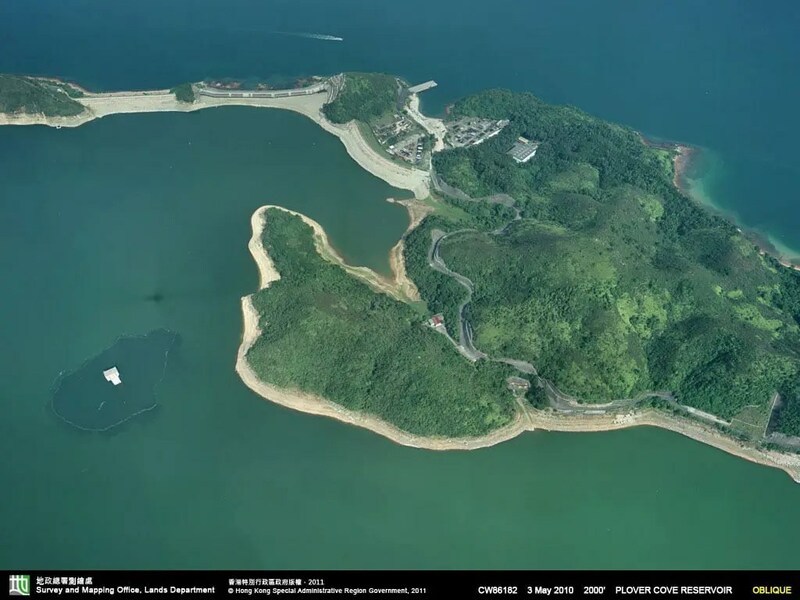 And later Plover Cove Reservoir was completed at New Territories in 1968. In 1966, the Cultural Revolution took place in China and water supply became extremely unstable, especially in times of drought. Fresh water was threatening Hong Kong’s urban ecological security. 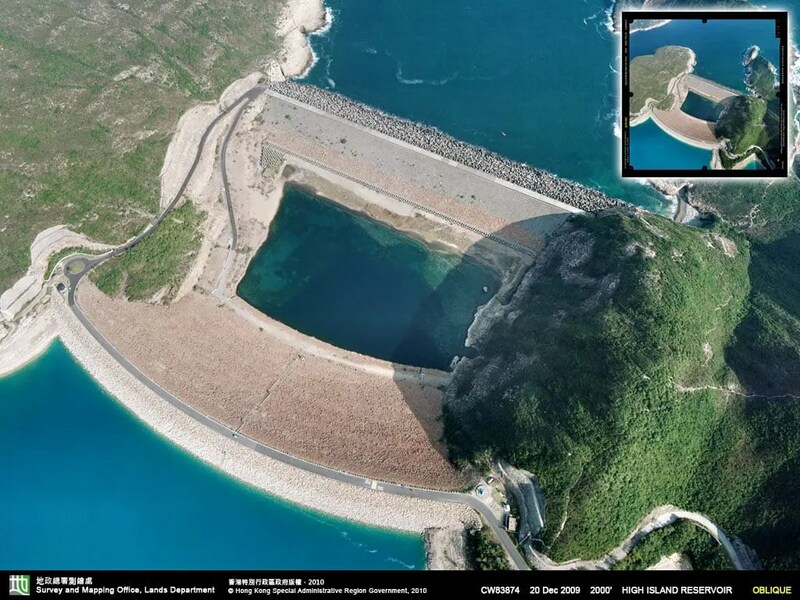 Therefore, British Government completed the 3rd large reservoir, High Island Reservoir, at Sai Kung in 1978. Also, Lok On Pai Desalting Plant was built to generate a new source of water from desalination, but the cost was too high at that time compared with water import from Dongjiang. So it was shut down later. With all these efforts, in 1979, British Government successfully reduced water imported from China to 31%. But after the Sino-British Joint Declaration in 1984, the future of Hong Kong became crystal clear. British Government knew it would finally lose its administration over Hong Kong in 1997. Therefore, local water supply was not its concern any more. Water imported from Dongjiang increased to 80% in 1991. Nowadays, due to the fast development of China, many cities around Dongjiang River are demanding much more fresh water than before. Hong Kong Government feels the pressure of losing water supply under the competition. But on the other hand, population in Hong Kong does not grow as fast and many factories have moved north to the Mainland to save labor cost. Hong Kong does not need as much water as before. But drinking water from the same river has become a symbol of national solidarity, so China and Hong Kong Government, by all means, will keep the pipeline running in the future.